Getting approved for auto loans is usually easy for most people, but bad credit scores and collections can make the process more complex. However, that does not mean that you can't get approved for car financing from most lenders. 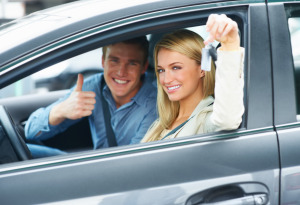 In fact, AutoNet Financial is a premier finance company that provides financing on cars for people with bad credit scores, which allows us to help anyone to prepare for loan approval. In order to qualify for financial assistance, consumers must use the best lender and impress them with good qualities that you can offer. This makes it likely to get approval on auto loans for people with bad credit and collections when using these tips. Down Payment or Trade In Vehicle: Making a good down payment or offering a trade in is one of the best ways to show a lender that you're invested in your financial contract. Also, putting money down allows for people to lower their interest rates which can save buyers a money on monthly payments. Monthly Income: Having a good debt to income ratio helps convince a bad credit car financing lender that you have the funds to afford the payments that come with a loan. If you're able to to pay collectors or settle old debt, while making timely monthly car payments you have a better chance of being approved for financing. Using a Cosigner: The help of a cosigner goes a long way with assisting consumers with poor credit. Lending companies will allow for individuals to have another person with better financial status sign onto your loan contract to get rates. Apply with Quality Lenders: As we stated it may seem popular to use buy and pay here dealers to qualify for financing, but there are plenty of lenders who can help you. By applying with quality online finance companies, banks, and local credit unions people can have the chance to receive the best loan opportunity that fits within your income. The people who are able to utilize these various tips have the best shot of overcoming their damaged credit history and the pressure that collection agencies add. It is also a good idea to look into credit repair tactics as well. Any lender that you apply with will also be willing to approve you for financing if they see you making attempts to improve your poor finance history. Having a poor credit history and dealing with a collection agency is one of the few things that most dealerships don't want to see on your credit report, and it will impact your bad credit auto loan terms. For example, a lower credit rating will effect result in the type of interest rates and down payments that will be associated with auto loans. In the case of collections, people are usually being held responsible for making payments on old debt agreements to other lenders. This is much harder to overcome, as a dealer will want to be sure that they can trust you with making timely payments and not have your income too spread out. In some cases, making payments to collection companies can be worse issue to have when applying for car loans as it comes along with damaged credit. There is no need to strugg with finding a lender that offers financing opportunities to people with credit problems. If you simply apply online today you can get easy loan approval, and get an affordable vehicle in no time at all.